How do you choose the best omega 3 fish oil supplement to get the best bang for your buck and for your precious body? You need to find the best quality source of fish oils with the ideal amount and type of omega 3 in the supplement. When you get the highest quality in the best form and the correct amount, you can accurately assess its value and know you are getting what you pay for in the omega 3 supplement you choose to take. When it comes to choosing the best source of fish for your omega 3 supplements, size matters! Many commercial products on the market use large fish as their source for oils. This is a problem because the larger the fish, the longer their life span and the more toxins they are likely to accumulate. 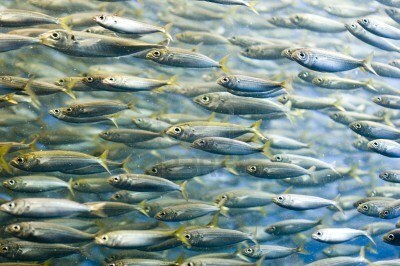 That’s why it is best to use small fish, such as anchovies or sardines, as your source of fish oil. The next important factor is finding a fish oil supplement that is rich in eicosapentaenoic acid (EPA) and docosahexaenoic acid (DHA). 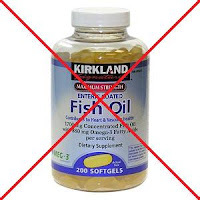 Many products on the market do not contain a significant percentage of EPA and DHA. EPA and DHA are the most studied form of omega 3 thus having the most clinically supported health benefits. Most commercial omega supplements only have about a third of the actual EPA and DHA, not the over all amount of "omega 3" implied on their label. Serious quality and safety assurance measures should be taken with the form of Omega III fish oil you choose to put into your body. 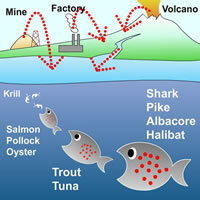 Fish are exposed to various metals, toxins, PCBs, lead and mercury -- all of which are hazardous to your health. Providing the highest quality control is costly and unfortunately not all companies take this issue seriously. Be sure to do your due diligence in researching the type of fish and the methods and standards the company undergoes to assure clean, safe, high quality and purity supplements. You get what you pay for; cheap supplements have less quality ingredients and smaller amounts of what you need. They may not truly be as safe as they seem, and they certainly won't provide you with the health benefits you seek if you are getting a poor quality product. Sadly, today many doctors still do not have the awareness or time to do their homework and specify what type of omega 3 supplements to direct you to buy. So, the typical patient ends up leaving the doctor’s office with the vague instructions of “take fish oils” and often turn to their neighborhood drug store or Costco outlet and purchase the cheapest form since they are not educated on the difference. This is a real shame- finally MDs are starting to make a great recommendation in suggesting omega 3 supplementation, but patients are left to their own devices and end up unknowingly taking poor quality substandard supplements. Remember folks, “you get what you pay for” so beware of cheap supplements on supermarket shelves or online. Know what company you are buying from and how they create their supplements! Which Omega 3 supplement is best? 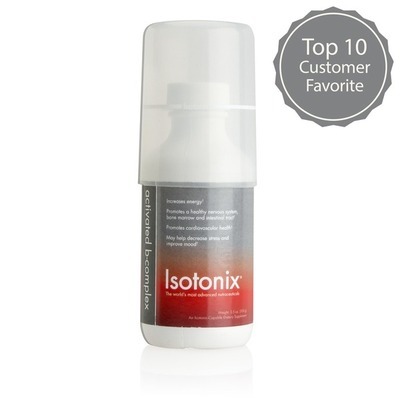 You want the highest concentration of EPA and DHA you can get without a prescription. That’s right, there is actually a prescription form of omega 3 now made by a drug company. Out of pocket it runs you about $8 a day! And there are possible side effects. Here’s one reason why- the FDA won’t allow drug companies to add antioxidants to their product, so the fish oils are likely to become rancid! Prescription? No thank you! Heart Health™ Essential Omega III Fish Oil with Vitamin E is the best available fish oil as it meets the previously discussed factors and goes above and beyond in its safety and quality assurance measures. Remember size of fish matters- the smaller the better – they use anchovies and sardines as their primary source of fish oil because of their size and short life cycle making them extremely low in contamination, and then they go through an intense purification process. Amount matters- Heart Health™ Essential Omega III contains 3000mg of fish oil, which is triple the amount found in most commercial products. The NutraMetrix doctors chose to provide three grams of EPA and DHA in their supplement because research studies have demonstrated to be the most clinically effective amount to promote overall cardiovascular health benefits. This fish oil is tested not once but twice to confirm it is free of any mercury, lead, PCBs or other heavy metals. It is tested by the manufacturer and then again by an independent testing company. This brand only uses fish oil that meets or exceeds standards set by the USA (CRN), the European Union (EU) and Canada (CFIA). Also, it contains Vitamin E because not only does natural vitamin E provide a host of its own health benefits including cardiovascular support, it serves to provide antioxidant protection for the DHA and EPA. So not only do you not have to worry about it being rancid (see prescription omegas), but you get added benefits with the right form of vitamin E. What’s important to note is that many commercial dietary supplements use the synthetic form of vitamin E, but this one uses the natural form, d-alpha tocopherol, so it is better absorbed and utilized in the body. Read more details about the best fish oil recommended by health professions who really care. 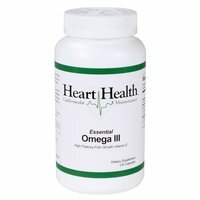 Use the following link and scroll down to read up on the science research, benefits, ingredients and FAQ about this highly recommended form of Omega 3 supplement: Heart Health™ Essential Omega III Fish Oil with Vitamin E.